Overview... a pauper with the heart of a prince. Sure, Tramp might just be a stray dog out on the streets, but that doesn't mean he won't do his best to help anyone who needs it. That’s especially true when the object of his benevolence is a pretty dog that he might just have a soft spot for. 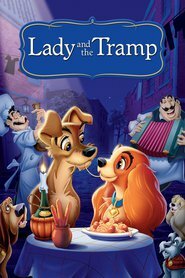 And even if Lady takes a while to warm up to him, Tramp's sure he can win her over. Personality... street-smart but sweet. For all of his swaggering and lady-killing skills, Tramp is still a good dog deep down. He might not know how to sit or stay, but he's willing to use all his formidable skills to fight for those he loves. Tramp's popularity ranking on CharacTour is #1426 out of 5,000+ characters. See our top-ranked characters and read their profiles.